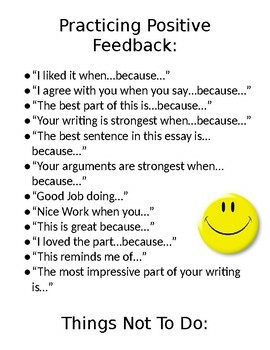 This is a helpful student handout and resource that includes sentence starters to help students with making positive feedback on their peers' work. 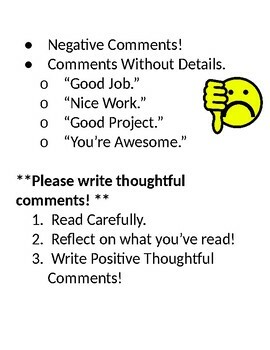 This sheet helps students structure positive feedback with reasoning and encourages them to create constructive comments. This resource is easily editable and you can add or create your own sentence starters with ease.